Their existence has now been confirmed within the mainstream. The quote above comes from Paul Hellyer, former Canadian defence minister. During the Second World War, UFO reports soared, especially after the atomic bomb was dropped. This is interesting given the fact that a number of the declassified documents indicate UFO incursions at several different military nuclear missile facilities around the globe. Perhaps the best and most well known example comes from 1967 at Malmstrom Air Force Base in Montana. The base controls a giant network of intercontinental ballistic missiles (ICBMs), where a number of highly trained military personnel witnessed a red, glowing UFO hovering outside the gate. At that time, all of the ICBMs shut down including the back-up generators. Just to be clear, this doesn’t ever happen. A conference was held seven years ago at the National Press Club discussing this issue. But prior to World War 2, the UFO issue was still prominent. We even have historical records and artwork of UFOs in antiquity that are well documented. 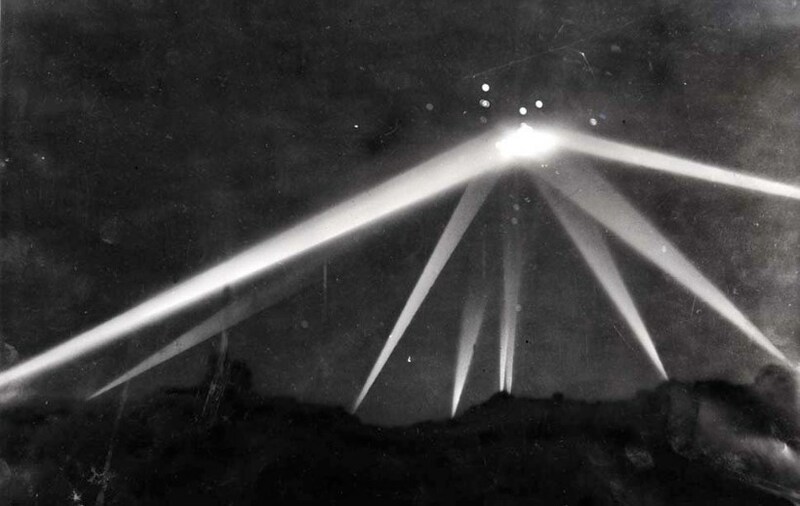 This particular article will focus on what happened above Los Angeles in 1942.